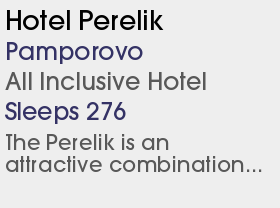 4 Half Board Hotels and 1 All Inclusive Hotel. 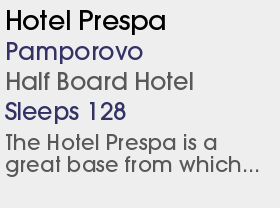 Pamporovo has a wonderful ski area, set amongst beautiful pine forests, offering some great scenery. The skiing is perfect for beginners with the cheapest 'First Time' ski package in our programme and an average of 270 days of sunshine a year, so you can learn in good conditions. Good for groups and families the resort has some great value hotels, a good choice of bars and some delightful traditional restaurants. 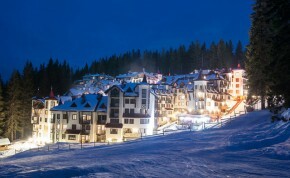 There is a great ski kindergarten for children, offered at fantastic prices.